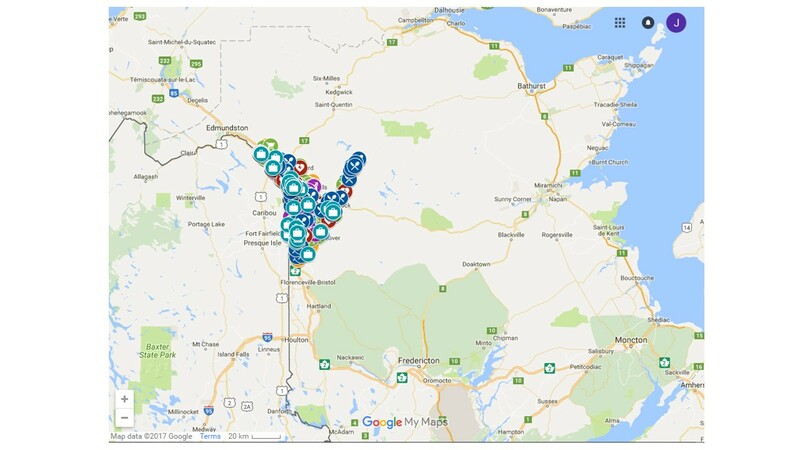 The CBDC Victoria Madawaska-South has launched in 2017 a new comprehensive and interactive Business Directory to the general public in order to improve business performance, increase companies’ visibility, and easily find details about different suppliers in the greater Grand Falls area (from Sainte-Anne-de-Madawaska to Nictau and Muniac). The Business Directory provides over 1,700 local businesses and community-based resources in fields such as agriculture, forestry, fishing and hunting, construction, manufacturing, retail trade, transportation, finance and insurance, professional, scientific and technical services, health care and social assistance. A hard copy of the Business Directory is available upon request, and it is possible to access the Database in Excel format with filters that enables to sort the information. Here are the financing partners to the CAM: Regional Development Corporation / Department of Post-Secondary Education Training & Labour / Atlantic Canada Opportunities Agency / Réseau de développement économique et d'employabilité du Nouveau-Brunswick.